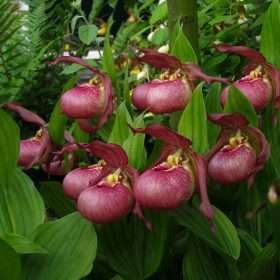 A fantastic group of very showy plants also known as Lady Slipper Orchids. 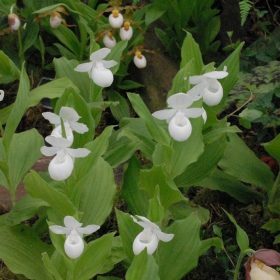 Kentuckiense is one of the most recent introductions of cypripediums into the UK, with superb flowers of large creamy/white pouches on tall stems. Kentucky Pink is a lovely new hybrid which makes a great garden plant with large pink flowers. 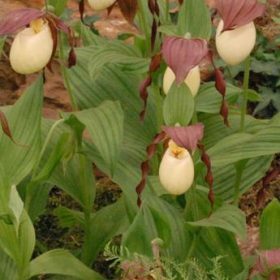 Also known as the Queen or Showy Lady Slipper orchid, this is one of the most attractive of the genus. The flowers of Reginae Album are a stunning pure white. 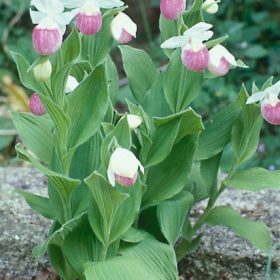 Easy to grow but not always offered (although they are becoming very popular).